The use of botanical oils can be traced back thousands of years, with roots in cultures as diverse as the ancient Sumerians, Chinese and Roman Empire. Botanical oils are prepared from whole plant, preserving its scent, main active ingredients, and the essence of the plant. Botanical oils made from various plants have been used throughout history to honor gods, prepare bodies for funerals, preserve beauty, assist with hygiene and treat a wide variety of medical conditions. Instructions for the preparation and use of plants as medicine is catalogued in the works of Dioscorides, De materia medica, back in the first century. Modern technology has allowed the active parts of plants to be identified and studied for their role in health and their usefulness against various medical conditions. The value of botanical oils has stood the test of time. The oil of the apricot kernel is very similar to that of its valuable cousin, the almond. Apricot oil is frequently used in place of bitter almond oil or added to almond oil to moderate the cost of production, though this may not be represented on the label. Generally, there are sweet apricots and bitter apricots. Many varieties of apricots are cultivated for different reasons, including the time of year at which they will ripen and different properties of the fruit, including taste and texture. The cultivated varieties - primarily sweet apricots and wild apricots - are generally bitter. The taste of the leaves and seeds were traditionally used as the guide, although the content of the seeds has been analyzed and found to vary in fat and nutrient content across cultivars. Sweet apricot kernel oil is used topically as massage oil and as an additive to soaps and skin care products. Sweet apricot kernel oil has a deep, nutty flavor and the extract is often added to recipes. The kernel of the wild apricot is bitter and it contains varying amounts of amygdalin, depending on the variety, as do the seeds of other members of the Prunus family, including almonds, cherries and plums. When amygdalin is digested, the interaction with water and the bacteria of the gut produces cyanide. Because these constituents are toxic or lethal in very small doses, apricot kernels should not be eaten unless they have been roasted. Nutrients The apricot is cultivated worldwide for its flavor, medicinal value and nutritional properties. The fruit contains carbohydrates, vitamins A, B1 (thiamine), B3 (niacin) C, E and K, potassium, beta-carotene and folate. The kernels, which are generally not eaten whole, but used for their valuable oils, do contain up to 22% dietary protein. The kernels are dried and made into flour, which is rich in essential amino acids and fiber. The sweet apricot varieties contain 40 to 50% oil, more than the kernel of the bitter apricot varieties. The fats found in the apricot’s kernel are mainly the unsaturated fats linoleic acid and oleic acid, which is an emollient and emulsifying oil common in many cosmetic products. Linoleic acid, a valuable unsaturated omega-6 fatty acid, is an important part of a plant-rich, healthy diet. The apricot kernel has similarities to almonds, including the beneficial fat, fiber and protein content. A study in Turkey examined the use of apricot flour to replace shortening in cookie recipes to improve the quality of fats and increase the fiber content of cookies. The apricot kernel flour made a harder cookie that had some trouble holding its shape, but participants found the cookies to be palatable when 10 to 20% of the shortening was replaced by apricot kernel flour. The flour is used in a traditional cake served at wedding ceremonies in India. The amygdalin content of apricots and their strong taste makes them a less viable option for consumers in the U.S. and their consumption is discouraged in Canada. The apricot is a drupe, like fellow members of the prunus genus such as the peach, plum and the almond. The downy outer layer is called the exocarp, and the fleshy fruit is the mesocarp. These layers surround a hard and woody endocarp. Inside the endocarp lies the seed, or apricot kernel. Apricot kernel oil is extracted from this ripe seed. Expeller Pressed And Cold Pressed Expeller pressing refers to the process of slowly breaking down apricot kernels under mechanical pressure, such as two rotating metal plates, to release the fats. Cold pressed means that the oil was expeller pressed at a low temperature. The low temperature prevents the oil from spoiling. Apricot kernel oil produced by a cold-press process is a mid-yellow color. A lighter colored oil will be produced if it has been refined. A variety of methods for improving oil extraction from the valuable apricot kernel have been explored. In India, the ancient method of collecting the oil is a cumbersome process done by hand. Modernized techniques have been implemented that yield more oil, cost less and are less demanding on workers producing the oil. However, this modernization is actually increasing demand for hand-expressed oil because the distinctive scent of the apricot oil is much stronger when collected using the ancient method, and it is believed that this represents a safer, more potent oil. Distillation Extraction Distillation extraction means exposing a plant to water or steam to break down the plant material and release the volatile or essential oil. The oils are cooled and condensed for collection. Distillation extraction is used to extract volatile oils, including amygdalin from apricot kernels. The amygdalin is distilled from the cake of kernels left over after oil extraction. The cakes are heated to release the oil, then cooled and fresh seeds are added to provide enough of the enzyme emulsin to hydrolyze the amygdalin. If the temperature is too high when this reaction happens, the emulsin breaks down and the amygdalin can’t be released. Commercial sources of almond extract may be made from apricots, since the amygdalin content of apricots is lower and they are less expensive and more available in the U.S. than bitter almonds. Because they produce less amygdalin, the flavor is less strong than when the amygdalin is taken from bitter almonds. Apricot oil uses In Ayurvedic And Chinese Medicine. 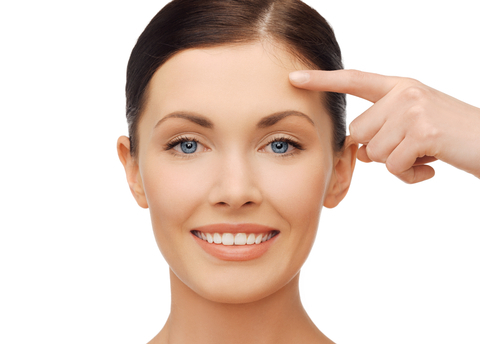 Apricot kernel oil is taken internally and applied topically. In traditional Chinese medicine and Ayurvedic medicine, the traditional medicine system of India, apricot kernel oil is believed to fight cancer and help with dry skin conditions, including eczema, psoriasis and dandruff. Both Chinese and Ayurvedic medicine consider apricot seed oil to be effective for clearing conditions of the lungs, such as congestion. The oil may be taken internally or used in massage to stimulate clearing the lungs. Apricot kernel oil in Ayurvedic medicine is believed to help move toxins, salt and uric acid out of the body, helping inflammatory conditions including arthritis, backaches and fluid retention. In Chinese medicine, the oil of apricot kernels is used for constipation. Cosmetics The oil of the apricot kernels absorbs well into skin and softens it, making it a top choice for cosmetics and perfumes. The same qualities make it popular for delivery of pharmaceuticals. Massage Used topically, apricot kernel oil is slightly oily, helping the massage therapist’s hand glide on the skin, but it does absorb well. The cost is higher than that of almond oil, but it is frequently used as a substitute on massage clients who are allergic to nuts. Skin The toxicity of the amygdalin in bitter apricot kernels can help fight conditions where cells are overgrowing, such as the plaques that form in psoriasis. There is some research that supports the ability of bitter apricot kernel oil to cause apoptosis, or cell death, in cells that cause psoriasis. The ease with which oils from apricot kernels absorb into the skin has been used to deliver analgesic medications as well. There are no human trials that support the traditional use of apricot kernel oil for eczema. Antimicrobial As pharmaceutical antimicrobials increasingly struggle with resistant strains of bacteria and fungi, interest in plant antimicrobials is expanding. The bitter apricot kernel’s extract effectively inhibits growth of Candida albicans and C. glabrata, as well as Staph aureus and E. coli. The sweet kernel is effective against these as well, although less potently. A methanol extraction of a Japanese apricot variety showed good results in fighting Helicobacter Pylori. GI Health Apricot kernel oil has been studied in western medicine for its anti-inflammatory effect on Inflammatory Bowel Disease, specifically Ulcerative Colitis. In a rat study, bitter apricot kernel oil showed the ability to reduce inflammation and improve ulcers in Ulcerative Colitis. It seems to be the amygdalin in the apricot kernel that worked to suppress the cells driving the inflammation process. Cancer Fighter? Laetrile, a semi-synthetic form of amygdalin, also called vitamin B17, has been the subject of tremendous controversy for its potential to fight cancer. Both laetrile and amygdalin contain mandelonitrile, which contains cyanide. It is the cyanide that is supposed to be able to kill cancer cells. As with amygdalin, when laetrile is digested, especially in the presence of lots of vitamin C, it creates cyanide. This is why consumption of raw apricot kernels is discouraged. While laetrile is still used as a cancer therapy in Mexico, where laetrile is not semi-synthetic, but truly amygdalin derived entirely from the seeds of bitter apricots, it is banned in the U.S., over safety concerns. A thorough review of the research showed laetrile is not effective against cancer. Nonetheless, research into its potential continues, including a recent study suggesting that amygdalin might stop metastasis of renal cancer cells. Did You Know? 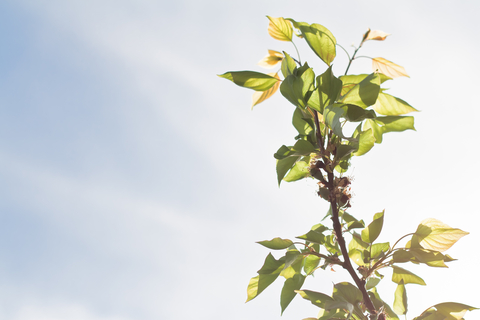 In the expanding field of alternative sources of fuel, apricot is a rising star. Methyl esters of apricot kernel oils can be added to diesel fuel to improve engine performance and create cleaner emissions. What should I look for in an apricot oil? 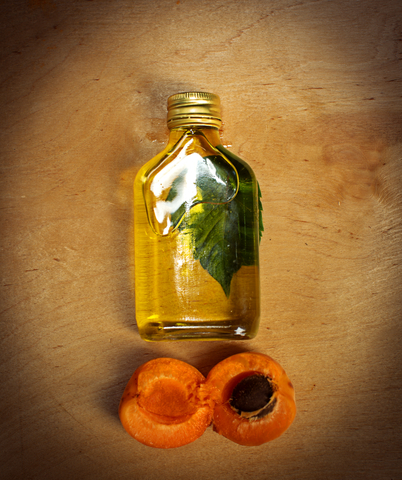 Unrefined, expeller-pressed apricot oil will contain the best profile of nutrients and fats. It should be mid-yellow in color and have a stronger nutty scent than a refined oil. A refined oil will be lighter in color and somewhat thinner in texture, as all sediment and impurities will have been removed. If I am allergic to apricots, can I use apricot oil? Apricot oil is generally considered hypoallergenic and is used on sensitive skin and as an alternative to almond oil for people who are allergic to nuts. However, if you have an allergy to apricots, or if you are not sure if you have an apricot allergy, apricot oil should be avoided, even as a topical agent. Ask a doctor about testing for apricot allergies. Is it safe to use apricot oil on kids? Apricot oil is light, mild in scent and non-irritating, making it a great choice for use on kids. If your child has an apricot allergy or if you are not sure if your child has an apricot allergy, apricot oil should be avoided, even as a topical agent. Apricots are a member of both the birch pollen family and the rosaceae family, which tend to be allergenic groups. Ask a doctor about testing for apricot allergies. Can I cook with apricot oil? You could cook with apricot oil. Extracts of the oil of apricot kernels is often an ingredient in marzipan or used in place of bitter almond oil. The whole oil is not frequently used in cooking because the edible preparation of sweet apricot oil has a short shelf life. Apricot oils prepared for cosmetic use will have more antioxidants in them to help extend the shelf life, but they are not intended for consumption. 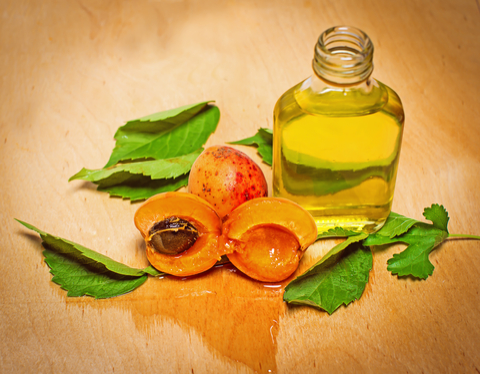 How long is the shelf life of apricot oil? Kept under proper storage conditions, apricot oil will last about six months to one year. Antioxidants such as vitamins C and E are added to apricot kernel oils used in cosmetics or massage oil to protect it from the oxidative stress that forms as oil begins to go rancid, extending its shelf life. Apricot kernel oil should be kept in cool conditions, as it will break down at higher temperatures. Caution And Considerations Apricots are in a group of foods that can cause an oral allergy syndrome. The other foods in this group of birch pollen foods are apples, almonds, carrots, celery, cherries, hazelnuts, kiwi, peaches, pears and plums. If you have a reaction to any of these foods, ask your doctor before making apricot kernel oil a regular part of your diet or cosmetic regimen. Do not consume raw apricot kernels. The amount of amygdalin present in apricot kernels varies widely, and the amount of cyanide released from amygdalin can be fatal. Chevallier A . The Encyclopedia of Medicinal Plants. New York, NY: DK Publishing; 1996:254-255. Gomez E, Burgos L, Soriano C, Marin J. Amygdalin content in the seeds of several apricot cultivars. J Sci Food Agric 1998; 77: 184-186. Li K, et al. “Bitter apricot essential oil induces apoptosis of human HaCaT keratinocytes.” Int Immunopharmacol. 2016 May;34:189-98. doi: 10.1016/j.intimp.2016.02.019. Epub 2016 Mar 9. YIğIT, D.; YIğIT, N. and MAVI, A.. Antioxidant and antimicrobial activities of bitter and sweet apricot (Prunus armeniaca L.) kernels. Braz J Med Biol Res [online]. 2009, vol.42, n.4 [cited 2016-04-26], pp.346-352. Available from: . ISSN 1414-431X. http://dx.doi.org/10.1590/S0100-879X2009000400006. Minaiyan, M. et al. “Anti-Inflammatory Effect of Prunus Armeniaca L. (Apricot) Extracts Ameliorates TNBS-Induced Ulcerative Colitis in Rats.” Research in Pharmaceutical Sciences 9.4 (2014): 225–231. Print. Wang L, Yu H. “Biodiesel from Siberian apricot (Prunus sibirica L.) seed kernel oil.” Bioresour Technol. 2012 May;112:355-8. doi: 10.1016/j.biortech.2012.02.120. Epub 2012 Mar 4. Gumus, S. Kasifoglu, Performance and emission evaluation of a compression ignition engine using a biodiesel (apricot seed kernel oil methyl ester) and its blends with diesel fuel, Biomass and Bioenergy, Volume 34, Issue 1, January 2010, Pages 134-139, ISSN 0961-9534, http://dx.doi.org/10.1016/j.biombioe.2009.10.010.